Speakers: Joel Stewart (Discussion Leader), Matt Morse, Michael Piston, Edwin Rubin, Lawrence Rudnick, Rohit Turkhud, Kiran Vairale Mumtaz, and Nathan Waxman. Workshop Outline Speaker bios Materials Testimonials BUY NOW! This is an interactive workshop. Participants will discuss and prepare PERM applications and Prevailing Wage Requests with the assistance of our experts, including essential information, such as, Occupational and Job Titles, Job Duties, Minimum & Special Requirements, and Licensing. The presentation is in the format of a round-table discussion. Draft copies of Prevailing Wage Request (Form 9141) and PERM Applications (Form 9089) will be provided by attendees to be screened by an overhead projector, enabling the experts to comment on all aspects of each Prevailing Wage and PERM preparation, as well as to analyze cases under audit, reconsideration, supervised recruitment or appeal. CLE Available in Many States. Kiran Vairale Mumtaz will explain how to select appropriate media for advertising, postings and other forms of regular and professional recruitment in both urban and rural areas. Rohit Turkhud will explain methods of transitioning from Non-Immigrant Visa status to PERM. Matt Morse will speak on IT occupations and titles in the O*Net. Larry Rudnick will speak on pro-active preparation of Prevailing Wage applications. Edwin R. Rubin will speak on minimum requirements and experience gained on the job with the same employer. Nathan Waxman will multi-task by speaking on a variety of PERM issues including the medical professions. Michael Piston's presentation "Is Health America Really Dead," will explain harmless error, audit criteria, requests for reconsideration and appeals to BALCA or the Federal Courts. For all of their bios, click here. Joel Stewart practices exclusively in the area of immigration law. He specialized in Romance and Slavic Linguistics before receiving a J.D. from the University of Connecticut School of Law, and is fluent in Portuguese, Spanish, French, and Russian. He is Past President of the South Florida Chapter of the American Immigration Lawyers Association (AILA) and is a nationally recognized authority on employment-based immigration matters as well as a popular speaker at immigration seminars for national and local bar associations throughout the United States. 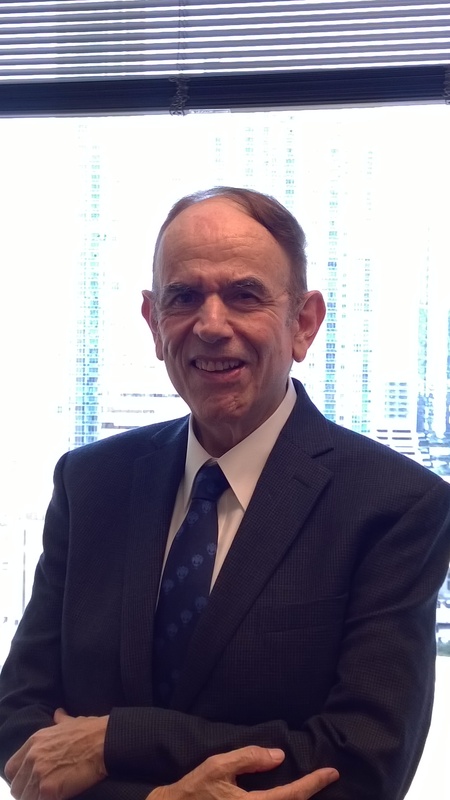 Mr. Stewart is the editor of The Perm Book, the definitive authority on the subject of PERM processing of labor certifications, and has been writing the BALCA Case Summaries since 1987. Mr. Stewart authors official AILA articles and publications such as the Visa Processing Guide for Procedures at U.S. Consulates and Embassies in Brazil and Portugal. 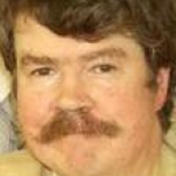 He maintains a Blog on PERM issues which appears weekly on ILW.com and chairs PERM workshops and telephonic conferences for ILW throughout the year. Mr. Stewart has been listed in Florida Super Lawyers and is frequently cited internationally as a leading corporate and immigration lawyer. In addition, to founding the Immigration Committee for the Dade County Bar Association, Mr. Stewart is General Counsel of the Brazilian Consulate in Miami, and represents the Brazilian community throughout Florida, the United States and abroad. Matthew Morse has been an immigration attorney for twelve years, focusing on employment-based and family-based immigration law issues. He has extensive experience with H, L, TN, O, K, B visas, as well as with Labor Certifications, Visa Processing, Adjustment of Status, and healthcare worker immigration issues. Mr. Morse also has profound proficiency with Extraordinary Ability Alien cases, National Interest Waiver physician petitions, Outstanding Professor/Researcher petitions, Advance Degreed Professionals cases, Multinational Managers and Executives cases, and Naturalization law issues. Prior to practicing Immigration law, Mr. Morse practiced Gaming and Real Property Law, as well as Contract Law in Detroit, Michigan. Mr. Morse held internships with the Michigan Attorney General’s Office, the Michigan Department of Environmental Quality and the Wayne County Prosecutor’s Office. Michael Piston is the senior partner in Piston & Carpenter PC in Troy, Michigan. He has practiced immigration law exclusively for over 20 years, and has spoken at numerous American Immigration Lawyers Association (AILA) and ILW.COM conferences and workshops as well as writing articles for AILA Annual Conferences Handbooks and ILW PERM Handbooks. With four attorneys practicing exclusively in the field of immigration and nationality law, the Piston Group provides its clients with focused and in-depth representation in business immigration matters. The firm was founded in 1985 by Michael E. Piston, since that time, the firm has processed over 5,000 applications for U.S. permanent residence based upon employment and over 10,000 immigrant employment visas. Larry Rudnick has been consistently rated one of the preeminent immigration lawyers in the U.S. He has a lengthy record of accomplishment in his over 28 years as an immigration lawyer, and is listed in the Best Lawyers in America, and is a frequent commentator on immigration related issues for the press and networks. Mr. Rudnick has for several years been selected among the Pennsylvania Super Lawyers for immigration law, and is listed in the Who’s Who of International Corporate Immigration Lawyers. He is AV rated by Martindale Hubbell for the highest standards in ethical and legal ability. While Mr. Rudnick’s practice focuses primarily on business immigration, he has had a number of well-known successes in litigation, including the decisions in Yusupov v. Attorney General, 518 F.3rd 185 (3rd Cir. 2008), overturning the Attorney General’s interpretation of which individuals consistute a danger to the U.S., and Soltane v. U.S. Department of Justice, 381 F.3rd 143 (3rd Cir. 2004), overturning USCIS’ overly restrictive interpretation of the religious worker regulation. Mr. Rudnick has also been a leader in filing litigation under the Administrative Procedures Act to remedy excessive government delays. He has won leading cases interpreting the USCIS regulation on what constitutes specialized knowledge for purposes of the L-1 category. Rohit Turkhud has been specializing in the practice of the US Immigration & Nationality Laws since 1985. For the first 9 years of his career his practiced focused on asylum and removal cases. Since 1994 he has been specializing in employment based and family based matters. From 1994 to 2001 Rohit served in senior executive positions at IT companies and headed their legal and international recruiting divisions. He was an integral part of setting up an IT company's UK operations and travelled extensively to the UK in the discharge of those responsibilities. From June 2004 to September 2012 he was a partner at the Law Offices of Cyrus S. Nallaseth PLLC, and at Nallaseth & Turkhud PLLC. He continues to focus on employment based immigration matters. Rohit has joined FLG, as a partner, in the pursuit of excellence and expansion. Rohit seeks to contribute to the international growth of FLG and help ensure that we always provide the quality of services and attention to customer satisfaction that has catapulted FLG to the top of law firms specializing in the field of immigration laws. He is proud to be a member of a team that reaches from Miami to San Francisco and from New York to Denver, with Michigan being the heart of the network. He has authored a frequent immigration law column for India Today's North American edition. He is a guest speaker on business immigration issues, specially relating to H-1B and the new PERM rules and regulations. He has authored an article in the second edition of the authoritative "THE PERM BOOK". On the second and fourth Tuesday of each month, Rohit hosts a prime time LIVE immigration show on Jus Punjabi, a national cable network channel. Mr. Turkhud is fluent in the Hindi, Gujarati and Marathi languages. Kiran Vairale Mumtaz is the CEO of AdNet Advertising Agency and has over 20 years of experience assisting attorneys, law firms and employers to place immigration recruitment advertisements for Temporary & Permanent Foreign Workers for Employer based Permanent Labor Certification process, Temporary Agricultural Employment (H-2A) and Temporary Worker Program (H-2B). Adnet provides advertising and recruitment guidance on local and national recruitment procedures, including Sunday newspaper ads, Newspapers, Magazines, Trade, Technical & Professional Publications, Journals, Local & Ethnic Media, Internet Job Sites, Campus Recruitment, and Radio. Adnet also provides other PERM related services such as Prevailing Wage Determination & SWA Job Order Form submissions. Kiran and her team can assist with ad copy, ad text abbreviation, media research, ad scheduling, ad placement, ad tracking, proof of publication (tear-sheets & eSheets). Ms. Vairale is a frequent and popular panelist on ILW workshops and teleconferences where she provides a results-oriented update of emerging national and local SWA recruitment problems. Nathan Waxman served as expert witness before the Board of Alien Certification Appeals and the Executive Office of Immigration Review on labor certification and employment-based immigration matters. He has served on numerous local and national AILA committees and has participated in the drafting and submission of comments to the Department of Labor and the former Immigration and Naturalization Service, in response to proposed rulemaking regarding key issues in employment-based immigration law. He has been the author of numerous articles on topics ranging from the National Interest Waiver through H-1 portability and cap issues to the representation of alternative health care practitioners. He has served on AILA's New Ideas Committee and is Adjunct Professor of Business Immigration at the School of Professional Studies, City University of New York. Or reserve online by clicking here. "I would highly recommend the PERM Workshop, as it is so valuable to beginning and experienced lawyers, or HR professionals, because the topics are well covered and many viewpoints are discussed. The speakers cover a variety of topics, real-life examples, differeing viewpoints and even some funny stories!" "Very informative! Great to hear from people with so much experience and knowledge"
"Very Insightful and helps to hear issues others are currently facing"
"Valuable insight from highly experienced panel members. Great way to learn from other peoples experiences"
Boston, MA: June 18, 2014 - 9:00am to 5:00pm. Includes continental breakfast, sit-down lunch & coffee break.